Simple and elegant shades of Chocolate designed by professionals, developed by LightSwitch Experts and compatible with all standard shells. 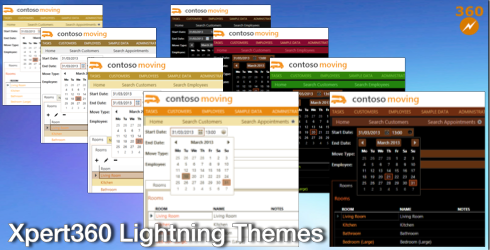 Themes that add a professional, business flavour to your application. Compatible with Visual Studio 2012, 2013 and 2015. 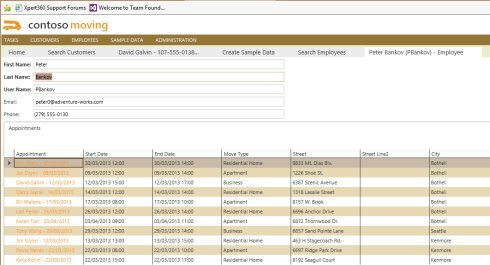 Works with your Silverlight Rich Client applications. Works in Visual Studio Community editions. The 'Lite' themes present a simpler lightweight set of styles and behaviours for crisper UI performance. View the Theme Gallery page here. Support for all Xpert360 Lightning Products can be found on our forum here. Free run-time use in perpetuity. Source code available for a nominal fee if you need to fine-tune any theme. Attention: Due to bugs in the VSGallery in respect to loading signed-VSIX extensions the download is not signed. We will upload a signed version when Microsoft fix the problems (as of 2015-07-28 and VS2015 RTM). V1.3 released 2015-07-28 - VS2015 support and now free! v1.2 released 2013-11-12 - VS2013 support. v1.0 released 2013-04-11 - Initial release.